Covenants are foundational to our understanding of God and His relationship with man. Relationships that are unhealthy and broken can seriously affect people and its cuture in very negative ways. 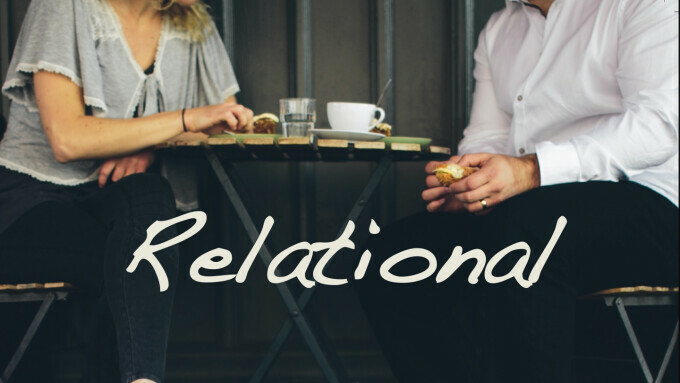 This study will remind us of exactly what a convenant is, why it is important in healthy relationships and how we can renew our commitment to them. Feel free to use more or less of these questions. They are here to move us from knowledge to obedience as God’s Spirit speaks to our hearts. Share what God is doing in your heart as a result and have others you trust hold you to account for the life-change God is working in you. Discuss how broken relationships hinder our culture (“the leading factor in depression, anger and hopelessness”)? How does the enemy use broken relationships at all levels of ministry to hinder the church? Why is it so important for the entire LEFC body to maintain healthy relationships? Why are Life Groups so vital for maintaining healthy relationships within the church? How do broken relationships hinder our personal worship? What is your regular pattern for preventing this? How could regular prayer be a part of healing broken relationships? (MA 18:21-35) Forgiveness from the heart can be a challenge. The greater the offense, the more difficult it is to forgive. Share some instances with your group (generally) about the challenges you’ve faced in forgiving others. Because we are to forgive infinitely, it is a process—it can be a long process. It normally does not happen in an instant. Why is forgiveness such a key concept in healthy relationships? How does not receiving a deserved apology affect our ability to forgive? How can we access the love required to accomplish biblical forgiveness? How does harboring even “justified anger” affect our relationship with God? Trust levels are affected despite forgiveness. Creating safe boundaries within our relationships is the way of wisdom. We are to live a life of love (1 JN 4:11,12) while maintaining healthy and forgiving relationships. How does David’s prayer in PS 51 help us? Broken relationships are common in our culture. Describe (generally) a broken relationship you have experienced and how it has affected you (and your family). The concept of a covenant is a biblical one. What are the main differences in how our culture views a covenant/relationship v. the biblical standard? Discuss how speaking the truth in our culture has disappeard. How has your standard of truth been affected? The relationships built in a Life Group are important. What are the key qualities in Life Group relationships that make Life Groups a safe place where people are loved and encouraged and challenged? What is the difference between a “conditional covenant” and an “unconditional covenant”? The covenants of God with man (OT) lead us to the redemptive plan of His people through Jesus’ life, death and resurrection. The “New Covenant” reconciled God and man once and for all and is permanent. What are the qualifications for being a part of this permanent convenant? What are the benefits of this covenant? How does the New Covenant (and Jesus’ model) empower/benefit us in our relationships with others? What are the specific ways we disregard God’s standards for covenants? What must we do to change to conform to God’s standards in our relationships? How can a Life Group be a key part of such change? Healthy relationships and covenant-keeping are matters of the heart. Take some time and look deeply into your heart with God’s help. What are the deep issues that need God’s healing? What are the broken relationships that need restored? What/who do we need to do to help make it happen?